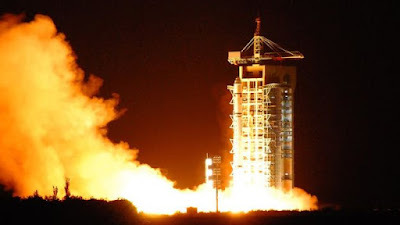 Chinese scientists say they have "teleported" a photon particle from the ground to a satellite orbiting 1,400km (870 miles) away. Some physicists give the example of a fax machine - it sends information about the marks on a piece of paper rather than the paper itself. The receiving fax machine gets the information and applies it to raw material in the form of paper that is already there. What it is not is teleportation in the Star Trek sense - transferring matter instantly from one location to another - which is how many instinctively see it. Instead, it relies on a phenomenon known as quantum entanglement. Indeed. The phenomenon arises when two particles are created at the same time and place and so effectively have the same existence. This entanglement continues even when the photons are then separated. It means that if one of the photons changes, the other photon in the other location changes too. Prof Sandu Popescu, from Bristol University, has been working on quantum entanglement since the 1990s. "Even then people were thinking about Star Trek. But we are talking about sending the state of a single particle, not the billions of billions of billions of particles that form a person," he says. "If you are thinking about a remote planet, first you would have to exchange billions of entangled pairs of particles and then you have to send other information as well. This is highly non-trivial. One should not get excited by that." How do I teleport a particle? Let's go back to our two entangled particles. If a third particle interacts with the first entangled particle, the change that occurs in the entangled particle is mirrored in its twin. So the twin contains information about the third particle and effectively takes on its existence. It has been impossible to create a long-distance link between two entangled particles because an entangled photon can only travel about 150km down a fibre-optic channel before becoming absorbed. Researchers have long seen the potential of a satellite link because photons can travel more easily through space, but it has been difficult to transmit them through the earth's atmosphere - varying atmospheric conditions can deviate the particles. What has the Chinese team achieved? They created 4,000 pairs of quantum-entangled photons per second at their laboratory in Tibet and fired one of the photons from each pair in a beam of light towards a satellite called Micius, named after an ancient Chinese philosopher. Micius has a sensitive photon receiver that can detect the quantum states of single photons fired from the ground. 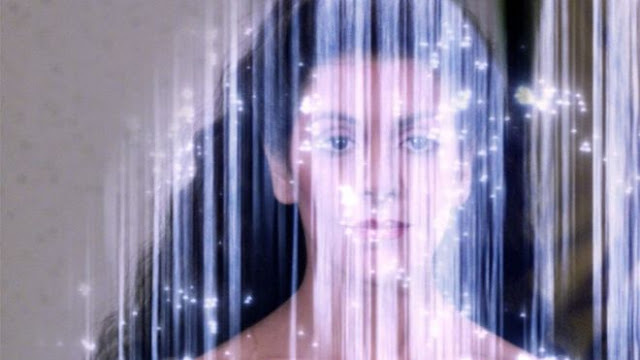 Their report - published online - says it is the first such link for "faithful and ultra-long-distance quantum teleportation". "It is a very nice experiment - I would not have expected everything to have worked so fast and so smoothly," says Professor Anton Zeilinger from the University of Vienna, who taught Chinese lead scientist Pan Jianwei. If you can't teleport people, why is it exciting? The main goal for quantum teleportation at present is the creation of unhackable communications networks. "The laws of nature offer protection," says Prof Popescu. "If someone was to intercept the information you could detect it because whenever you try to observe a quantum system you disturb it." The Chinese city of Jinan has already begun trials of a secure network based on quantum technology and a network linking Beijing and Shanghai is under development with so-called "trusted nodes" every 100km where the quantum signal is measured and sent again, Prof Zeilinger says. 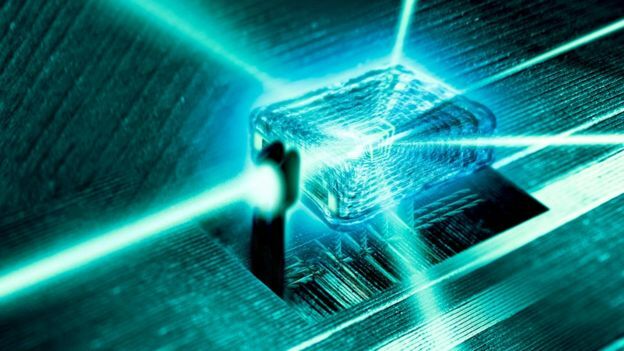 "It is the first quantum internet. Data rates are low so it is not useful for the current internet. But it is useful for refreshing the quantum key used to send encrypted information," Prof Zeilinger says. The quantum network could be used for sensitive financial or electoral information, says Professor Ian Walmsley from Oxford University. "There are significant barriers still to overcome. But this is how transformative change begins," he says.